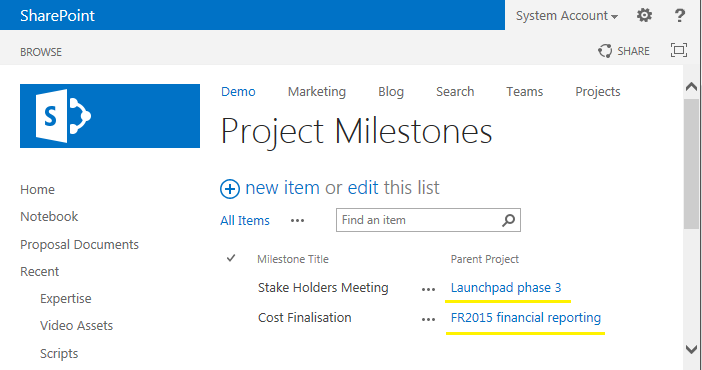 When we add lookup column to any SharePoint list, it appears with the link to parent item in SharePoint list views. Quite often, end-user clicks on the lookup link and edits parent lookup item by mistake - People get confused which link to click. 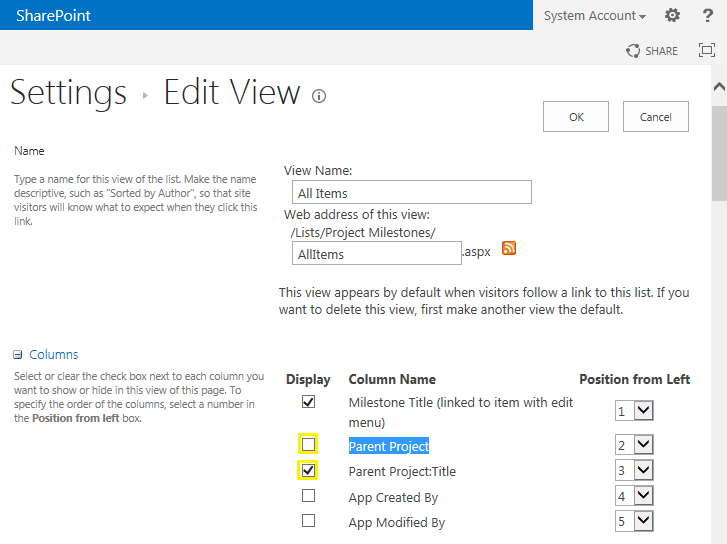 So we wanted to remove hyperlink from lookup columns in SharePoint 2013 list views. Here is how you can remove hyperlink from lookup fields out-of-the-box without any coding and customization efforts. Go to your list settings, Pick the lookup column. In my case its "Parent Project". 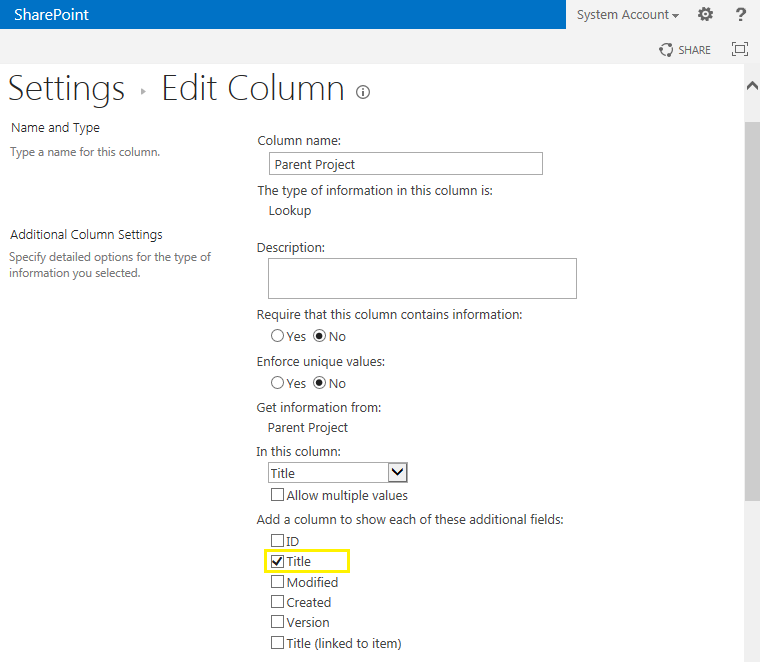 In "Edit Column" page, Select "Title" field under "Add a column to show each of these additional fields" Section as highlighted below. Click "OK" to save the view. That's all! This removes the link from hyperlink columns. However, in Display form of the list, it still shows link in hyperlink fields, isn't it? Proceed with the below method to remove hyperlink from lookup column. Although lookup field links can be removed using SharePoint designer-XSLT methods, I prefer this jQuery as its relatively simpler. Lookup columns are pointing to.link something like "http://Site/***&RootFolder=*". So, lets find all Anchor elements of the page with href attributes "&RootFolder=*". and remove remove link of the lookup. 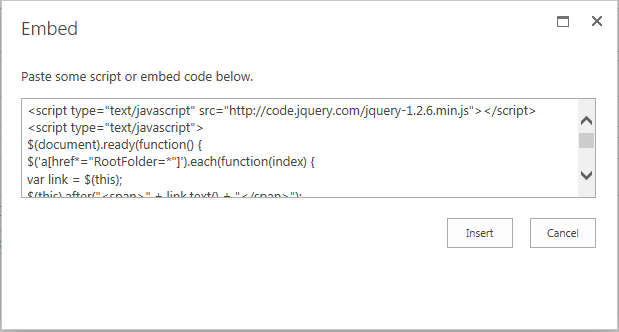 Click on "Edit Snippet" link on the Script Editor Web part and place the below code in it. Save and Close the page! Thanks for your solution, but your solution remove any hyperlink like as Title, any why exist that can exclude some column? No title column links will have RootFolder=* in their URLs! Thanks for your Solution, but I add LinkToItem="TRUE" for column that want to hyperlink to view Item, unfortunately disable this hyperlink after your script, can you help me?